County commissioners gave a first-round of approval Wednesday, Dec. 5, for a zone change and map amendment that would allow a new parochial school to be built in a residential zone in Warren. 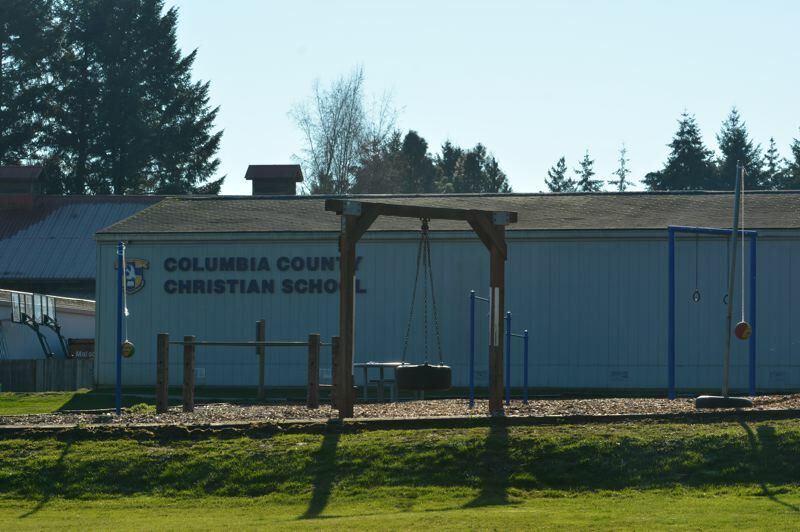 Commissioners voted unanimously to approve the zone change from rural residential to community service for a 7.4-acre site on Church Road, which would serve as the new location for Columbia County Christian School. The private school is operated by on property owned by Warren Community Fellowship Church. At issue was whether the proposed wastewater treatment system at the new school will be adequate to serve the private school's needs. WCF told county building and planning officials that it only needs a system with a capacity of 2,500 gallons-per-day, making it small enough to be reviewed by the county, rather than the Department of Environmental Quality. Church officials say they anticipate a maximum enrollment of 100 students and 15 staff at the site. "Based on the data that we provided with the water flows and usage in the current building, we are actually falling below the 2,500 [gallons] per day, even at maximum capacity," Scott Winegar, a representative for the church and applicant for the project, told county commissioners Wednesday. Applicants and WCF representatives said they anticipate the new development will have very low impacts on the surrounding neighborhood, and be roughly 750 feet away from the current school. Wednesday's public hearing was supposed to be limited to consideration of whether the church will meet the requirements for a septic system, but the hearing quickly shifted. 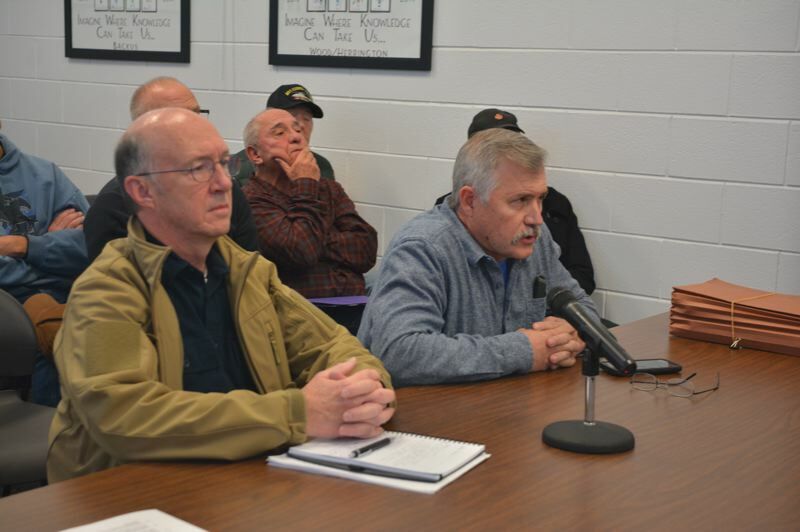 Property owners in the Church Road area voiced disapproval of allowing a zone change in the rural neighborhood, citing concerns about increased traffic and fears of an unchecked septic system near streams. "There is no valid reason to approve this application," John Costic told commissioners. "Our neighbors and I do not want a new commercial structure built in our beautiful neighborhood and having a potential negative impact on our community." Erin O'Connell, the county's environmental services specialist, said there are safeguards in place to prevent septic system failure at the site, including an annual maintenance and operations contract. "They have to turn a report in to us every single year," O'Connell said Wednesday afternoon after the hearing. "There's a lot of protections built into that contract." Commissioner Alex Tardif admitted hesitation before approving the zone change and map amendment request. "Having come back with a septic system approval that shows you meet the requirements for what you want to build, I cannot see a reason for us to deny this," Tardif said before voting, but cautioned the church to consider its future growth. "One hundred students is not realistic for the future," Tardif said. "Just be diligent." Commissioner Henry Heimuller reminded neighbors who were opposed that several "outright permitted uses" would be far more intrusive. "We have to look at what is A, legal, and B, what will work out well for the neighborhood," Heimuller added. The church will still need to seek additional county review and approval before building anything on site. This story has been updated to correct a previous version that misstated the relationship between Warren Community Fellowship Church and the Christian school.